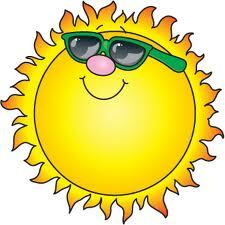 Costa de Almeria Entertainment Apartments and Villas. Costa Almeria This is the Index for the Almeria area for Spanish Holidays direct from the Villa and Apartment owners Costa de Almeria Mojacar Apartments and Villas and Hotels, including local attractions such as Aqua Parks Fort Bravo, Almeria Oasys, Mini Hollywood Western Leon Western film locations on the Costa de Almeria. FORT BRAVO is a western-town, located just in the middle of the only moderate-climate desert of Europe it is 2 kms from Tabernas village and at 25 kms. from Almería, on the south coast of Spain. 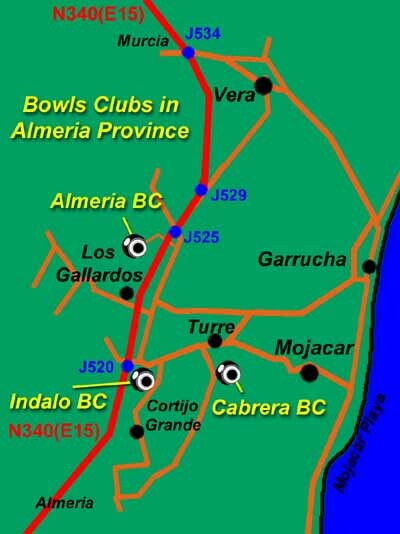 Four active Bowls Clubs in Almeria province are all located within 10 minutes drive of Mojacar, a picturesque village, 75 kilometres from the capital city. 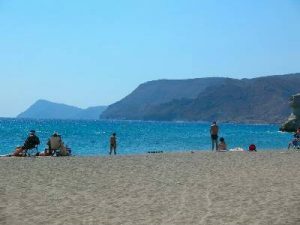 Costa de Almeria Desert Springs This long lost part of Andalucia boasts the best winter climate in Spain, making it an attractive all year round destination for golf, tennis and water sports. Costa de Almeria Mojacar Apartments and Villas and Hotels. 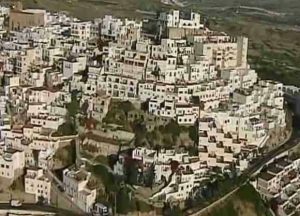 The city of Almeria is Andalucia’s most eastern capital. Enjoy a fantastic day out by the beach in Vera Aqua Park with your family and friends. Have fun on our great water attractions. 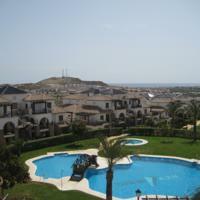 Luxury Apartments and Villas in Vera. Town is a bustling vibrant place that retains much of its Spanish charm. There is an attractive town square set amongst the huge variety of shops, cafes and restaurants. Spanish Holidays direct Located beside the sea in the picturesque village of Mojacar..
Almeria City Hotels Costa de Almeria these hotels are Located in the heart of Almeria City, within walking distance of famous landmarks such as the Alcazaba, the cathedral and the town hall as well as being close to public transport shops and restaurants. Western Leone located in Tabernas in Almeria Spain. Western Leone this town owes its name to the director who was instrumental in universalising the landscape of Almería as a film location, the Italian Sergio Leone, and who we can thank for creating the spaghetti western cult film genre. For the dedicated movie fans Western Hollywood and Western Leone are the actual film studios where they made the movies and their facilities combine the actual sets with a Wild West show. 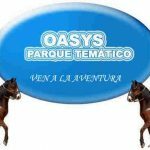 Oasys Mini Hollywood is a specially created theme park that combines a Wild West setting, western shows with gunfighters and Cancan dancers, with a Zoo, botanical gardens and a swimming pool. Presenting Almerimar A hidden coastal vacationresort in Eastern Andalusia Spain.The sub tropical resort of Almerimar. The Spanish Resort of Mojacar Playa Almeria.